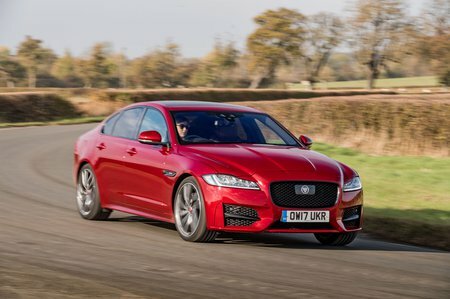 Jaguar XF 2.0d  Portfolio 4dr Auto AWD 2019 Review | What Car? What Car? will save you at least £4,447, but our approved dealers could save you even more. This twin-turbo diesel comes with a rear-wheel drive layout as standard, although four-wheel drive is available as an option. It’s a largely smooth and punchy engine, made even better by the slick eight-speed automatic gearbox. More expensive to run than the other diesels, but still delivers respectable running costs.